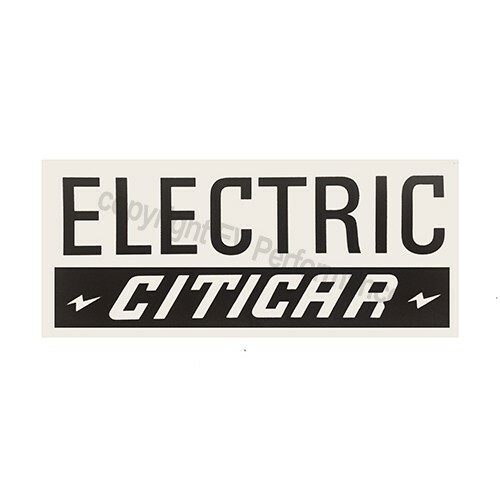 This is a reproduction "Electric CitiCar" sticker. 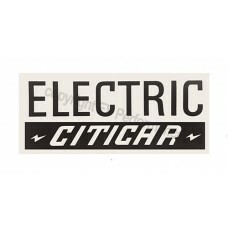 The X" x X" adhesive backed stickers were sometimes used on the front and/or back of the CitiCars. Fabricated from high quality 3M brand reflective ScotchliteTM material, these are outdoor grade vinyl ready for your application to your car.